Heating and cooling costs eat up a large percentage of a household budget. 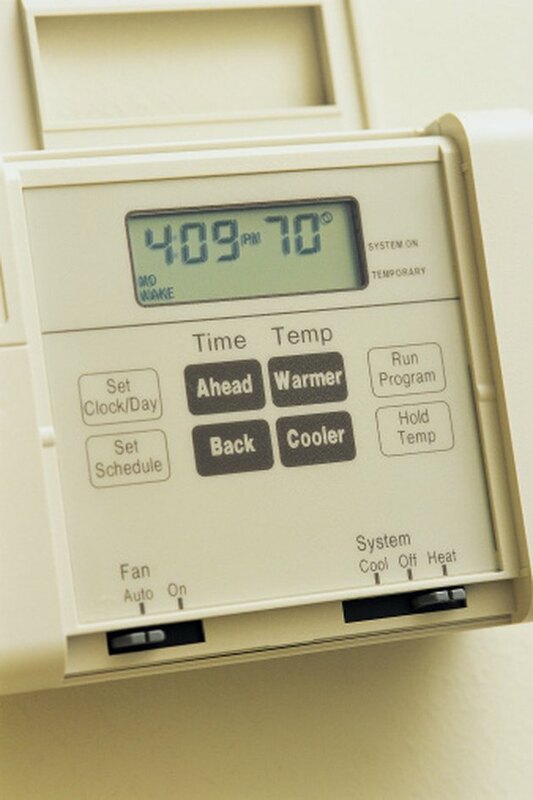 Utilizing a programmable thermostat reduces energy consumption, which translates into lowered energy bills. The Honeywell RTH230B is quick and easy to program. Homeowners can set up to four different programs each day, allowing maximum control over energy usage. Press [Clk] and the hour will flash. Use the up and down arrows to set the hour. Press [Clk] and the minutes will flash. Use the up and down arrows to set the minutes. Press [Clk] and the day will flash. Use the up and down arrows to set the day. Press [Exit] to confirm the settings and exit the setup menu. Press [Pgm] to begin programming. Press [Day] to select either weekday or weekend application. Press and hold [Day] for three seconds to select all seven days at once. Using the up and down arrow buttons, set the desired program time of day. Press [P#] and use the up and down arrows to set the desired temperature. Press [P#] to move to the next program period. Repeat steps 1 to 3 to set programs 2 through 4, then press [Exit] when finished. Ma Picard began writing professionally in 1995. She has been published in various media, both print and online. Writing topics include health and wellness, literature, family issues, gardening and simplicity. Her work appears on eHow, One Healthy Lifestyle, North Valley Magazine, and several other websites. With experience in an ever-growing variety of fields, Picard writes to share her knowledge with the world.